Gambling is legal in Poland. Online gambling is also legal, since the Act on Gambling Games, signed into law on June 30, 2011. However, online poker and online casinos are still illegal within the country. Almost all forms of online and offline gambling in Poland were largely unregulated prior to 2009, before the Act on Gambling Games was enacted. This law imposed restrictions mostly on casinos in Poland. It limited the scope, scale and location of their operations. The legislation also outlawed all forms of online gambling in the country. The 2011 amendment to the Act allowed for the operation of online betting sites (no other forms of online gambling) but with severe limitations. It only allowed Polish companies (owned by Polish individuals, registered and with a physical presence in Poland) to operate online bookmakers, accepting people only from Poland. Since 2011, Poland’s authorities have only approved four licensees: Fortuna Entertainment, Millenium, STS and Totolotek*. EU authorities expressed concerns about such a law being incompliant with EU statutes aiming to guarantee the free flow of products and services between member states. Addressing these concerns, another amendment to the Act on Gambling Games was signed into law earlier this year. The amendment allows for companies from other EU member states to set up gaming operations in Poland – provided, they have a physical branch and a Polish speaking representative in the country. Other amendments to the Act are being considered by Polish legislators – one to allow online poker, and one to enable the national lottery company, Totalizator Sportowy to offer its products online**. Polish authorities reportedly do not block unlicensed websites. However, on 18 November 2014, the Polish Ministry of Finance published an official announcement on its website warning Polish players that if they gamble on foreign online platforms, they can face legal action – a fine, and criminal indictment. The ministry also stated that they have information about more than 24,000 players who have been participating in overseas gambling, including 17,700 players who have won a total of PLN 27 million ($6,97 million) in 2013. The Regulator has already initiated more than 1,100 criminal investigations in this area, and further proceedings will be initiated against the players who have received the highest winnings***. However, authorities expressly mentioned that they are only after those with the highest winnings. Small scale recreational players do not face high risks. Nevertheless, we do not recommend playing in foreign online casinos from Poland, till the privatization of the online gambling market takes place. Casinos are legal and licensed in Poland, although the 2009 Act on Gambling Games imposed restrictions on their operations, such as an upper limit for gaming tables set to 70, and higher tax rates. The legislation also condemned most gambling to casinos by, for instance banning slots in bars and pubs (similar to Hungary). Online casinos are currently outlawed in Poland and there doesn’t seem to be any change on the horizon. Polish authorities restrict access to foreign casino sites and they have started to prosecute players who frequent offshore online casinos. The risks for small time players are reasonably small, authorities expressly stated that they would go after players with the highest winnings. Still, we do not recommend gambling online from Poland. We do not recommend playing in online casinos from Poland. Land based commercial bingo is legal and licensed in Poland. However, online bingo is illegal, according to current laws. The national lottery company Totalizator Sportowy has a monopoly over a televised bingo game, but the company is not yet allowed to offer its products through the internet. As for foreign online bingo halls some are banned by ISPs and the government issued a threat, that it would prosecute the highest winning players who place bets on offshore sites from the country. We do not recommend playing bingo online from Poland. Land based commercial poker is legal and regulated in Poland, but can only be played inside licensed brick and mortar casinos. Online poker is illegal for now, but it will most likely be legalised in the next couple of years. 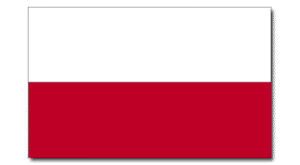 A draft was already introduced to legalise online poker in Poland. For now, most major foreign poker platforms are inaccessible from the country. Small-scale poker players do not face any serious risks, as authorities claimed they only started criminal investigation against the highest winning 1,100 Polish players. Nevertheless, it is risky to play poker online from Poland, and therefore we do not recommend it. We do not recommend playing poker online from Poland. Land based betting is legal and licensed in Poland. There are four companies that operate legal betting shops in the country: Fortuna Entertainment, Millenium, STS and Totolotek. All of these four operators have obtained an online betting license also, since it was made available in a 2011 amendment to the 2009 Act on Gambling Games. Foreign online bookmakers are outlawed and the government issued a threat that it would prosecute the highest winning online gamblers in the country and it reportedly started 1,100 investigations last year. However, smaller scale players face very low risks for placing bets with foreign online bookmakers, but it’s not completely safe. I have no experience with the online sports betting systems of Fortuna Entertainment, Millenium, STS and Totolotek, therefore I can not recommend them. Some foreign online sportsbooks are banned by ISPs and placing bets with these bookmakers might result in a fine, not recommended. All lottery games in Poland are the monopoly of Totalizator Sportowy, the national lottery company. The company is currently not allowed to offer its products online. Foreign online lotteries are illegal. However, such sites do not appear to be blocked by the ISPs. The government pledged to prosecute the highest winning players who gamble on unlicensed sites in Poland last year, and they reportedly already started 1,100 investigations. An online lottery jackpot would surely attract their attention and therefore it is not recommended to purchase lottery tickets online from foreign online lotteries. Poland does not restrict the use of Bitcoin, but it does impose a tax on transactions in the cryptocurrency. While there is no specific info on the stance of Polish gambling authorities on Bitcoin gambling, given the overall restrictive nature of the regulations, we can safely assume that Bitcoin gambling is just as illegal, as gambling on unlicensed platforms in any other currencies. We’re yet to see, if Polish authorities will award any online gambling operations a license that specialises in Bitcoin or accepts wagers in the cryptocurrency. For now, it is unknown whether Polish Bitcoin gamblers are prosecuted, but just to be sure, we do not recommend it. An overview of the legal status of online gambling in Poland. The country has very restrictive laws pertaining to online gambling and it is the only European country that is planning to actively prosecute players. Interesting article and very interesting research. How can I contact you?